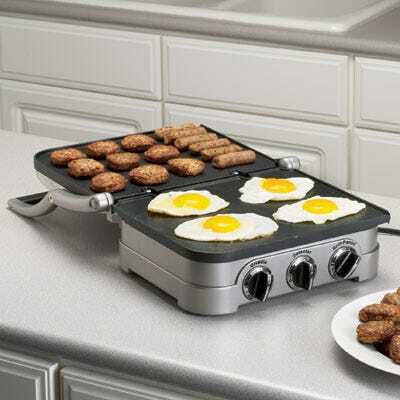 Four separate cooking options allow it to handle everything from pancakes to sausages to grilled cheese to steaks, hamburgers and paninis. 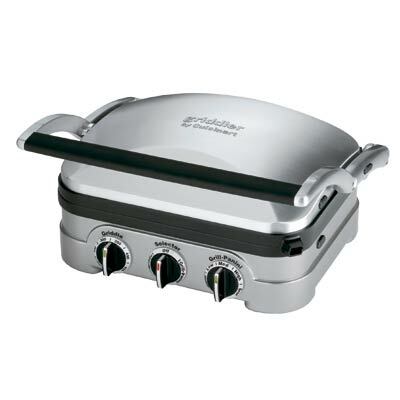 A unique floating hinge, and two sets of plates that snap in and out, turn the grill into a contact grill, a panini press, or your choice of a big double open grill or griddle. 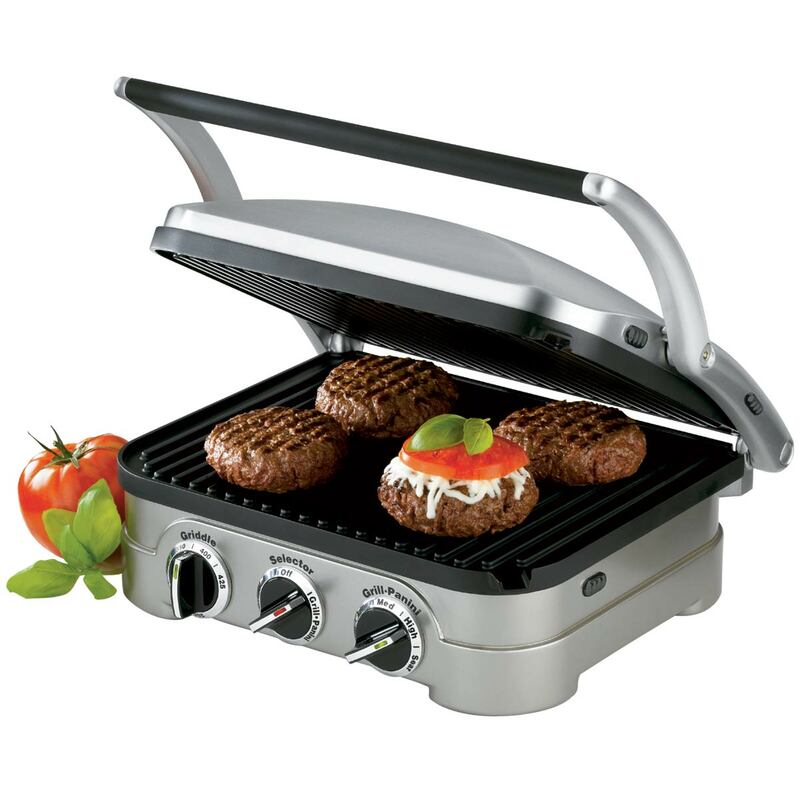 Dual temperature controls ensure that everything is perfectly cooked! Removable grill plates are dishwasher safe. 115 volts with a 36 inch power cord. Mesaures approx. 13 inches by 11 inches — 6 inches high. Cooking area 102 square inches.